After team devotions we headed to the Carrick markets to help Carrick RPC with their first pop-up café. This gave us the opportunity to engage with the locals and discuss hope, as referred to in our leaflets. After lunch we continued our leaflet distribution, reaching areas further west in the town. With the rain beginning to pour, we were all thankful for a warm house and plenty of food, provided by the Stevens' family. Reenergised, we set off to Eden Community Centre where we joined the CY in their games' night, competing in volleyball and unihoc. 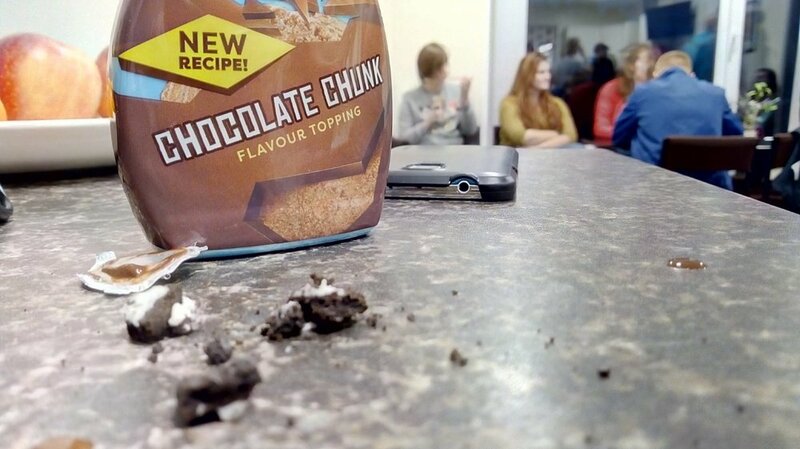 To finish the evening, the CY returned to the church where the committee kindly provided chocolate bar milkshakes. A few of our team members shared their testimony and school experiences to encourage the young members of Gods power and continued help with them in school. David Duly, a member of the congregation, came to speak to the team with words of encouragement from Psalm 131 and we closed the evening in prayer. This morning the team met for devotions in the church, after which we headed out on leaflet distribution. Each leaflet had information on the church and included a small section on hope. After lunch, the team went to the Chester Care Home in Whitehead, at which one of the elderly members of Carrickfergus congregation now resides. The team sang from Psalm 23, 65 and a variety of the other old version Psalms and the Rev Harry Coulter gave a short address. Then it was tea time! The team was hosted tonight by Margaret Kerr. We enjoyed this time to relax and chill as a group, before heading back to the church for a time of prayer. Asking God that he would lead and guide the team in the week ahead, and that there would be a response from the community regarding the leaflets. We would greatly appreciate prayer that we would be able to make contacts in Carrickfergus through the leaflets. That we would have good conversations at the pop up cafe and doing door to door work tomorrow. Young people would come along to the C.Y meeting tomorrow night to hear Gods word.